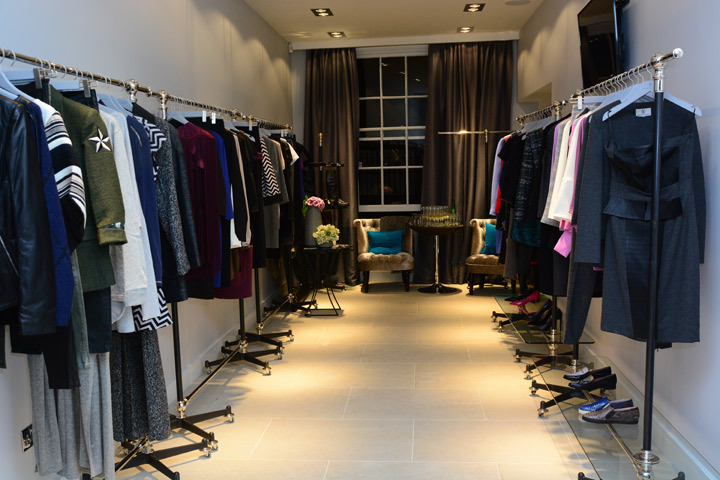 Teodosia Lloyd––wife of leisure centre magnate and one of the UK’s most successful tennis players David Lloyd––showcased her eponymous collection at the launch of exclusive boutique, Dolly Lloyd London, situated on the sought-after Fulham Road. The Teodosia Lloyd range, designed exclusively by Teodosia Lloyd for the boutique, is stocked in alongside the brands Love & Fashion and Monica Ricci, with the boutique being the sole UK stockist of all the luxury designers. The event was attended by celebrities, including Made in Chelsea star Georgia ‘Toff’ Toffolo and Capital FM’s Pandora Christie, who both praised Teodosia’s debut collection and took the opportunity to shop the collection in store. Teodosia Lloyd is the exclusive label of the Moldavian born designer, who discovered her flair for fashion when she was 6 years old. Teodosia believes that ‘fashion has no limits, if there isn’t a way, then you must create one’. This philosophy has been incorporated into her debut collection, driving the brand forward and inspiring her work every day. The brand offers luxury womenswear fashion, shoes and accessories, and targets ambitious and fashion conscious women, taking its inspiration from architecture to create a strong structured look with a modern twist. The ready-to-wear collection offers comfort, high quality, an excellent finish and exceptional value and includes a selection of beautiful trousers, blouses, shoes and dresses.